View More In Storage Racks. Due to manual measurement, there will be an error of 1-2cm, shooting conditions will be different, there will be chromatic aberration, and ask for forgiveness. Usually we will ship and receive the goods within 1-3 days for 9-16 days. ●Sturdy structure, easy to maintain -Using high-quality wood, bearing more than 20kg, environmentally friendly coating, moisture-proof and waterproof, durable, workmanship and easy care. 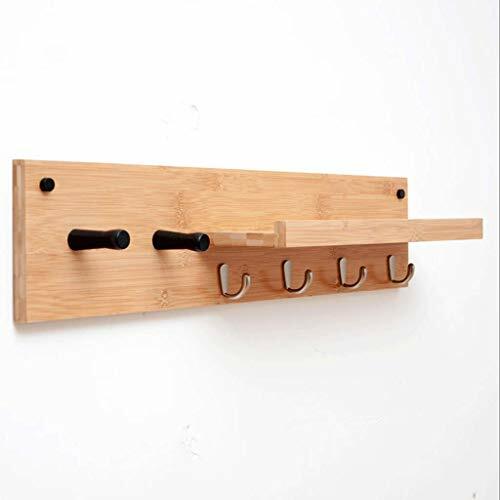 ●Sufficient storage design - hook + shelf, storage and integration of small objects, such as plants, photo frames, ornaments, etc., release learning, work, living space, efficient use of wall space, break the space constraints. ● Wide range of applications - such as living room, bedroom, entrance, office and other places, multi-functional decorative racks. ●Size: 61*12*16CM, 74*12*16CM, 87*12*16CM, environmentally friendly wood, no pungent fragrance - non-toxic, green and healthy lifestyle, beautiful and practical, style is versatile. ●The products sold do not contain display products, The product acceptance time is 9-16 days, If you have any questions, please feel free to contact us. If you have any questions about this product by ZYN, contact us by completing and submitting the form below. If you are looking for a specif part number, please include it with your message.